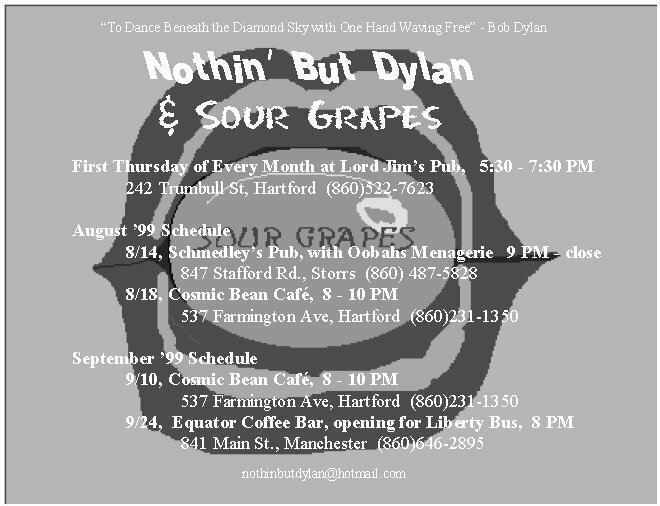 This is the home page of Nothin' But Dylan... 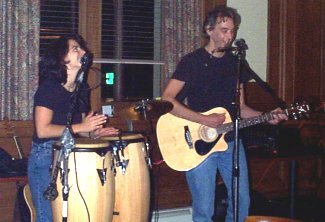 The newest Hartford/Windham County, Connecticut based tap-dancing music duo who perform, you guessed it, nothin' but Dylan. This is Dylan like you've never heard (or seen) Dylan before. Click Here to add your name to our mailing list and get up-to-date info on the band! Please check back again... there's lots more to be added!